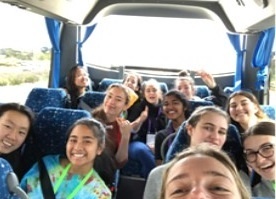 In the last week of Term 3 (22 – 26 September), Gabrielle and I travelled to Perth for the biannual AMSSA (Australian Mercy Secondary School Association) Conference. 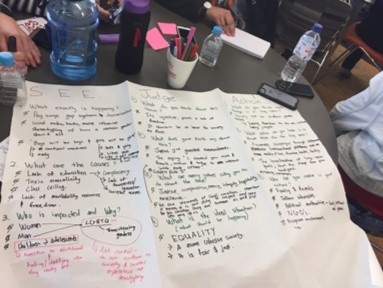 The Conference gave us the opportunity to explore the Mercy charism and recognise the works of fellow Mercy schools in enacting Mercy Social Justice initiatives. On our journey, accompanied by Mrs Symons, we explored the origins of Mercy in Australia. 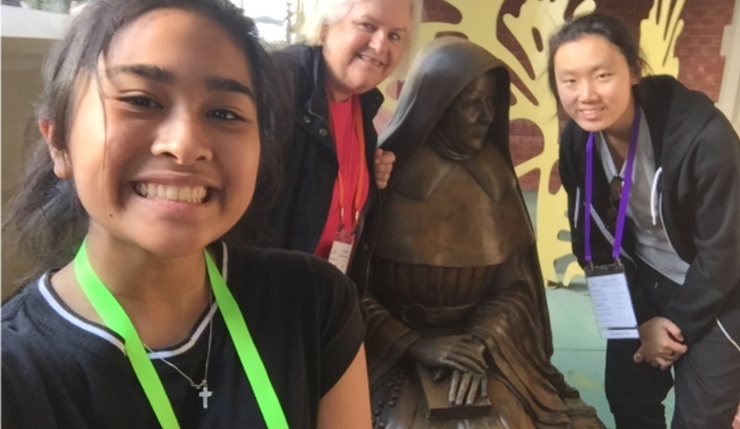 We learnt about the journey of Sister Ursula Frayne and her lasting impact that is evident in Mercy Schools across Australia. It is through her hardships that Mercy values remain steadfast in Mercy Schools today. We also explored the places visited by the first Mercy Sisters’ upon their arrival in Australia. 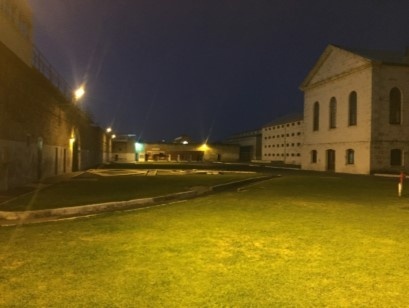 We saw the Fremantle Prison World Heritage Site and the Perth CBD in our Ursula Frayne based Amazing Race. We posed for pictures in front of landmark areas in which Ursula Frayne and the Mercy Sisters had made their mark all those years ago. During our conference listened to talks from young people who have based their lives and actions around the Mercy Values. Notable speakers were Sophie Stewart, Farzad Mousavipour and Emily Vuong. 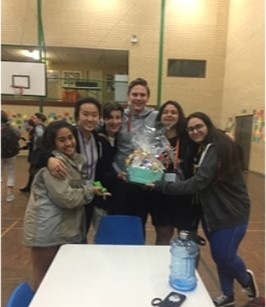 In their presentations we were able to recognise the importance and need for mercy in the world today, from showing basic kindness to those with different abilities to showing mercy to those who seek asylum. Our participation in the AMSSA Conference was an enlightening experience that opened our eyes to the importance of the Mercy Charism in the lives of us, as Mercy Girls, and how these values lead to a more cohesive society.